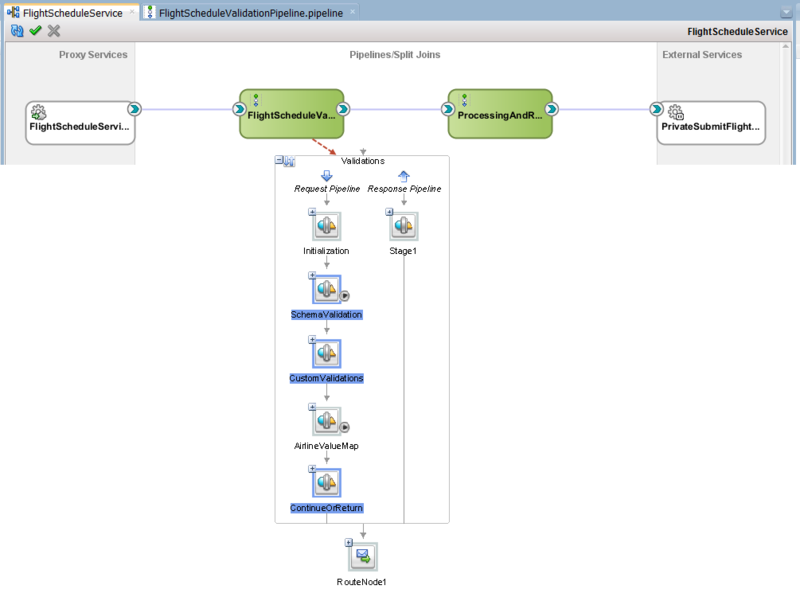 This part discusses the implementation of the FlightScheduleValidationPipeline. This pipeline performs validations and constraint checking. Some concepts discussed are the Validate activity, use of Domain Value Map, Error Handler, Resume activity, use of XQuery functions for validation and use of XQuery Library Modules. 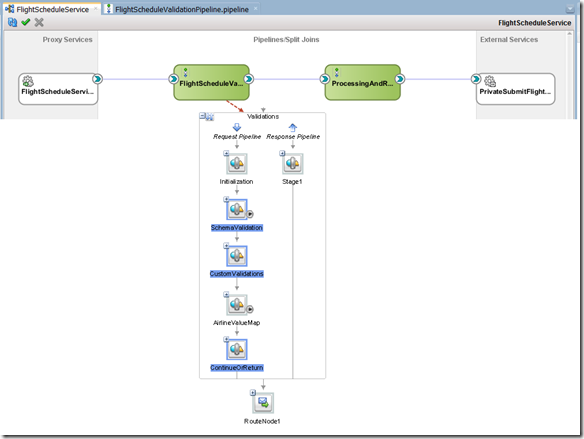 The starting point for this section is application FlightScheduleService_step1. The end result is in FlightScheduleService_step2.